The classic fairy tale Cinderella takes on another guise when Welsh National Opera perform La Cenerentola – composer Rossini's opera based on the story. Rossini makes a few adaptations but he retains two of the story's most popular and also unpopular characters – the ugly sisters. Tisbe and Clorinda are as mean as can be to their sister Angelina (the Cinderella character) and in this production, they're also dressed as outrageously as possible. Staged in the autumn season alongside Prokofiev's War and Peace and Verdi's La traviata, the production of La Cenerentola is a revival. First staged by Houston Grand Opera, WNO then premiered it in the UK at Wales Millennium Centre in Cardiff in 2007. Using staging, costumes and wigs from the original production, the team have spent the last few weeks recreating the production for another UK tour. Head of wings and make-up Siân McCabe is part of the team who perform their own magic to transform singers Aoife Miskelly and Heather Lowe into Clorinda and Tisbe for the show. Siân explains: "Normally you have stock wigs which you can style differently for different productions but these wigs come with the show and can only be used for this La Cenerentola because of the styles and bright colours. They are part of the show so come ready to use. It's like having flatpack furniture - we have to tidy them up a bit but they are ready to go." The wigs are very colourful with the two ugly sisters coiffed in electric pink and lemon yellow sky-high wigs. The make-up is also very detailed – and just a little unusual. "It's very specialised with regards to make-up and the designer is quite specific in the details," explains Siân. "This is all set down in detailed notes - if you read the make-up notes along with some of the designs they are so specific right down to the shape and colour of eyebrows, colour of eyeshadows etc. Many of the cast and certainly the ugly sisters have these moles or beauty spots on their faces but they are diamond shaped and very specific colours. There's also shading down one side of the face for the ugly sisters – there's a lot of detail." 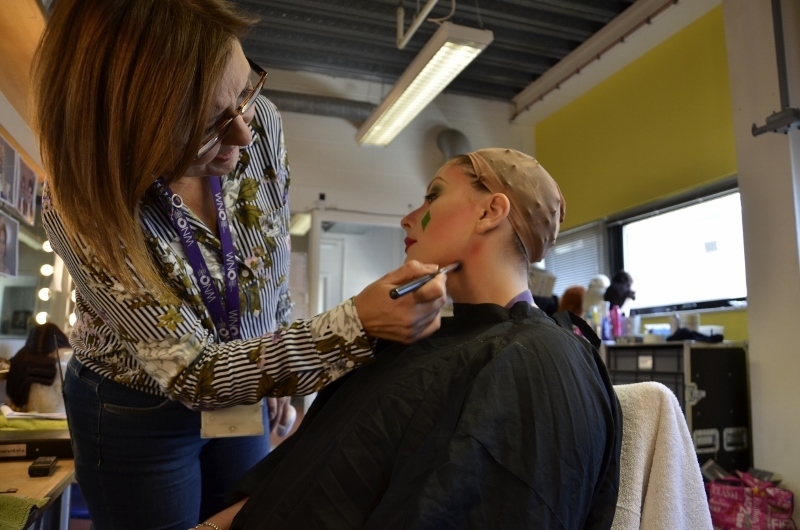 The look may be dramatic but the WNO team are not using specialist theatrical make-up, it's high street brand MAC who have provided make-up for the company for around ten years. And with three different productions in the season and casts of 20 or 30 plus, the team of four wig and make-up artists need to be very regimented in their approach to the performances. "We have to schedule people with times," says Siân. "That can be a bit difficult as you don't want to call them in too early but then we've got to stagger it. So we may start about an hour and a half before the show starts. It is challenging getting everyone ready in time. It's quite a big cast with a lot of wigs and specialised make-up and they're getting into make-up, wig and costume in a short space of time." 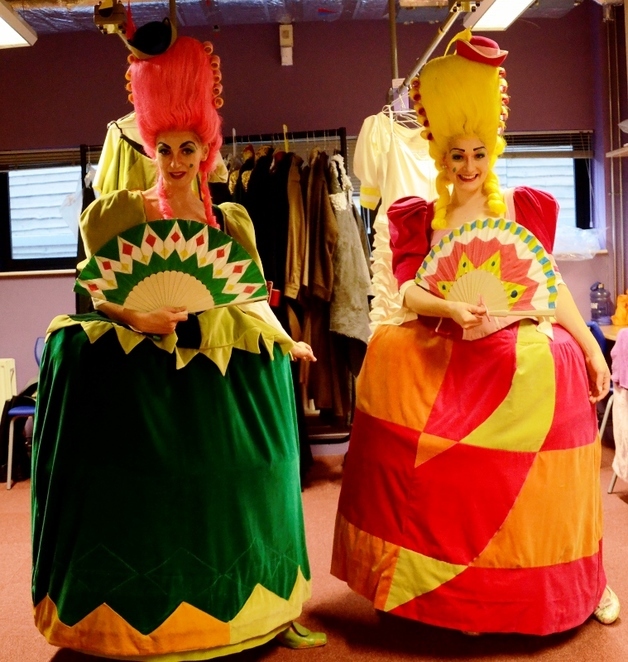 WNO perform La Cenerentola at Birmingham Hippodrome Theatre on November 15. It forms part of the autumn programme with War and Peace (November 17) and La traviata (Nov 14 and 16). For ticket information see www.birminghamhippodrome.com or call 0844 338 5000.